Dr. Rocky Lemus is on a mission: to help Mississippi producers become better forage managers. 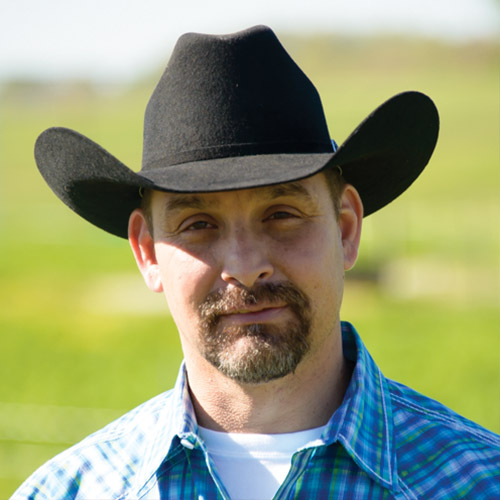 To accomplish his mission, he and Joshua White, manager of the MAFES Official Variety Testing program in forages, are developing a year-round grazing system. The grazing system, combined with the Official Variety Trials program in forages, and a newly developed forage testing program all work together to make Mississippians better forage managers for grazing cattle and hay production. Lemus, who is an associate extension and research professor in the Department of Plant and Soil Sciences, notes that Mississippi producers feed a lot of hay to raise cattle. “Mississippians feed hay 100 to 110 days each year, which is more than producers in any other state,” Lemus said. To accomplish this goal, Lemus and White have set up a year- round grazing system on the H.H. Levick Animal Research Center, commonly known as South Farm. This collaborative project between the Mississippi Agricultural and Forestry Experiment Station and the MSU Extension Service is conducted in the Center for Forage Management and Environmental Stewardship. The system includes ryegrass mixed with berseem clover grazed from January through May, alternated with tall fescue, which is productive from March to June, bahiagrass/bermudagrass from mid-May to October and then back to tall fescue from November to December. Berseem clover is often used as a cover crop and not typically used for grazing but Lemus found it to be more effective than white clover commonly used in a grazing system. Lemus and White are also studying other combinations that might work well for producers. These include white clover and tall fescue and alfalfa with bermudagrass planted in strips. 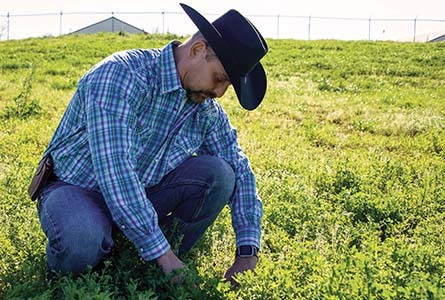 Dr. Rocky Lemus examines alfalfa at the H.H. Levick Animal Research Center. Numerous forage variety trials and grazing studies occur on the 1100+ acres that lies just south of the Mississippi State University campus. Photo by David Ammon. In evaluating grazing systems, researchers measure the amount of time it takes for forage to recover after grazing, biomass production of forages, and days of grazing. They also measure cattle weight gain. By combining different forages, the scientists hope to develop diverse systems that work well together and then share those systems with producers in the state. The scientists are also grazing cattle in annual grasses such as sorghum-sudangrass hybrid, which produced two pounds of weight gain per day last summer. Lemus identified two key areas that impact hay forage production in Mississippi: harvest and fertilization. This is especially true for fescue. There are several different types of fescue, wild type endophyte (Kentucky-31), endophyte-free and novel-endophyte. The wild type endophyte is a fungus that lives in the grass and is toxic to cattle. As fescue matures, the endophyte becomes more toxic in the seed head of the grass. Estimates of 36 to 40 million acres of pasture and forage land in the U.S. are planted in Kentucky-31 tall fescue. The toxicity of endophyte can cause cattle to lose body weight, produce less milk, have higher body temperatures and respiration rates, and have poor reproductive performance, among other symptoms. Seed companies have developed new varieties including endophyte-free and novel-endophyte varieties. Novel-endophyte varieties contain endophytes that are not toxic to cattle and withstand grazing pressure better than endophyte-free varieties. Fertilization is equally important to becoming a good forage manager. Lemus notes that to produce good hay, 50 units of nitrogen per acre must be applied before the first cut of fescue when the grass begins to turn green and is at about three inches tall. To ensure hay is of the best quality, a new partnership has been formed between the Mississippi Agricultural and Forestry Experiment Station and the Mississippi State Chemical Lab. The partnership is made possible with new near infrared (NIR) technology acquired by the State Chemical Lab, which allows chemists to quickly test the quality of forages at a reduced cost. Mississippi State University is one of eight universities in the country offering the testing services. Previously, Mississippi producers sent between 700-800 samples each year to Louisiana State University for testing. LSU closed their testing laboratory, which created a vacuum for producers. The State Chemical Lab tested all forages previously using wet chemistry which took about 2 to 3 weeks for results to be delivered and cost $50 per test. The new NIR technology takes three days and costs $15 per test. Not only will customers receive dry matter, crude protein, acid detergent fiber (ADF), and neutral detergent fiber (NDF), but also additional components including fat, total digestible nutrient (TDN), Relative Forage Quality and several minerals including calcium, phosphorus, potassium, and magnesium. When samples arrive at the State Chemical Lab, chemists dry the sample and then grind it to fine particles. Near infrared wavelengths are passed over the sample. Equations based upon the spectra allows the machine to detect the different components in the sample. Equation models within the NIR software are provided by the National Forage Consortium to provide consistency. 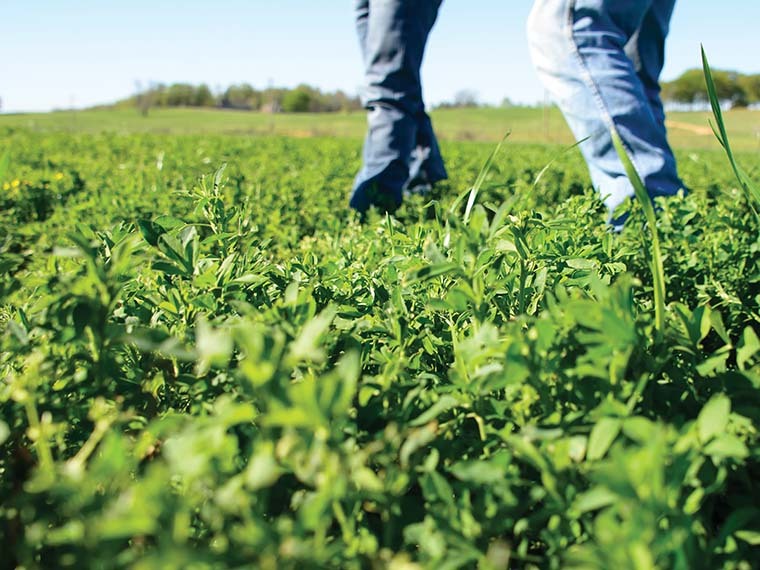 Upon submission of samples, producers will identify the sample type of forage, including grass and mixed hay, alfalfa, and haylage and product name (alfalfa, bahia grass, clover, mixed grass) using the State Chemical Lab forage sample submission form. For products and/or components not available in the National Forage Consortium, the State Chemical Lab performs wet chemistry analysis and, if applicable, builds the model to be used on the NIR software. The Mississippi State Chemical Laboratory is a National Forage Testing Association certified laboratory. The National Forage Testing Association sends samples to the State Chemical Lab to test their performance in providing hay analysis. Each laboratory testing forages is assigned a yearly grade based on their analysis of these bimonthly samples. The State Chemical Lab received an A rating for the National Forage Testing Association 2016 certification. Producers interested in submitting forage samples should consult the State Chemical Lab website at www.mscl.msstate.edu. Lemus plans to annually evaluate the forage samples submitted to the State Chemical Lab to determine trends on the quality of forages throughout the state. This information will then impact his outreach planning for the year. For Lemus, the future is an exciting time to be in forages. Focus: Grazing management strategies that increase forage production and practices with an emphasis on evaluating different forage species and varieties across different soil and climatic zones of the state. Passion At Work: I want to help Mississippi producers grow forages year-round and extend the grazing season. Being raised in a cattle operation, I understand the need to increase forage production to be more efficient and sustainable when it comes to developing a farm enterprise. Mississippi forage and livestock producers have a great potential to be among the top beef producers across the U.S.